Buyongdae is a cliff about 64 meters high situated where the Taebaek Mountain Range ends. 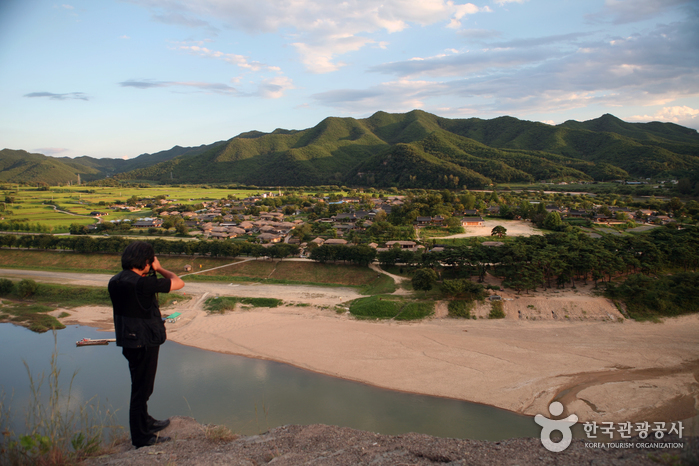 From the summit, one can get a bird’s eye view of the Hahoe Village in Andong. The name was taken from an ancient history of China. Meaning lotus, the name Buyongdae is said to be given for Hahoe Village’s configuration like a lotus flower. Thus, one can get the best view of the village from the cliff. Located near Buyongdae are Ogyeonjeongsa House, Gyeomamjeongsa House, and Hwacheon Seowon Academy.